When it comes to caring for my natural hair I believe that keeping a minimal product list is best! Way back when I was relaxed I used to buy a plethora of products. If I saw a YouTuber use it I would go out and purchase it. In all honesty I was a bit of a product junkie . Now that I am natural using too many products just doesn’t work for me. After almost 5 years of natural hair care here are the four products that I just can not live without! First thing first! Water!! 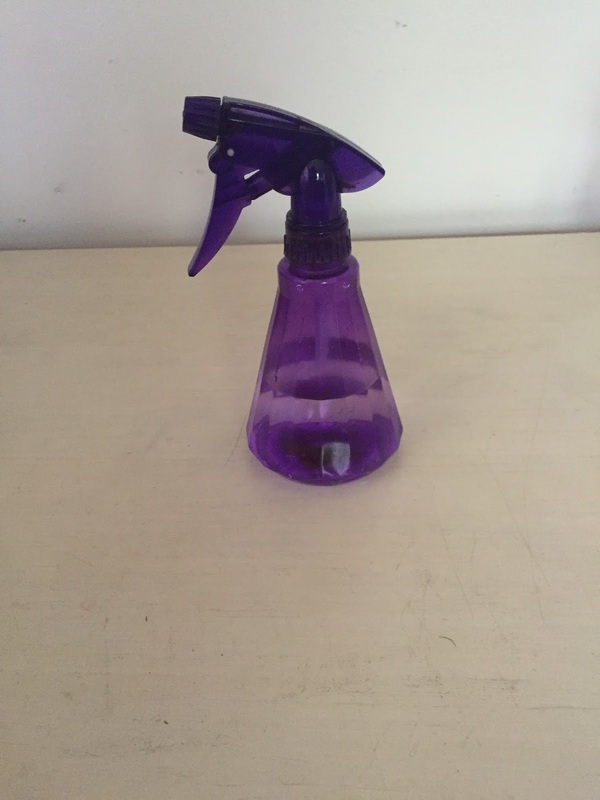 When ever I am styling I make sure to keep this purple spray bottle full of lukewarm water. My next staple is Coconut Oil. 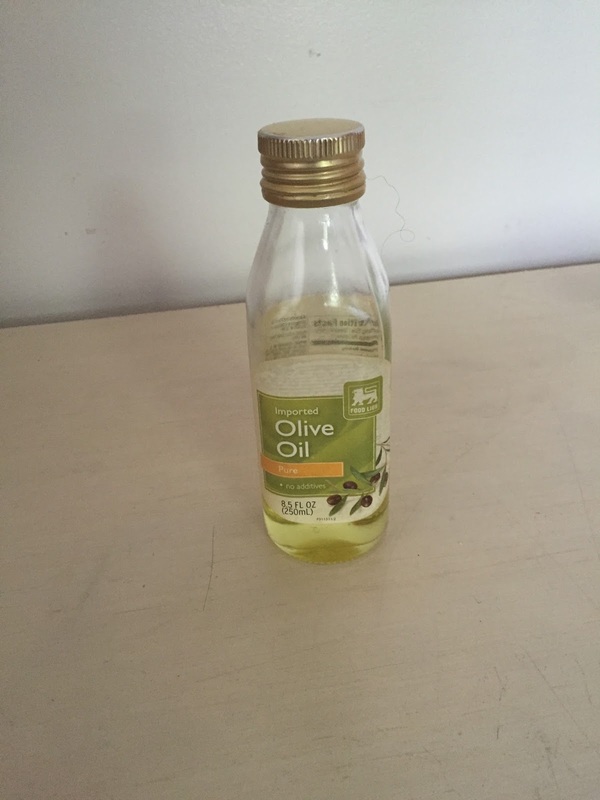 I love this oil because it seems to really nurture my hair and scalp! After doing some research on the Internet I did learn that coconut oil claims to be one of the only oils to penetrate the hair shaft. 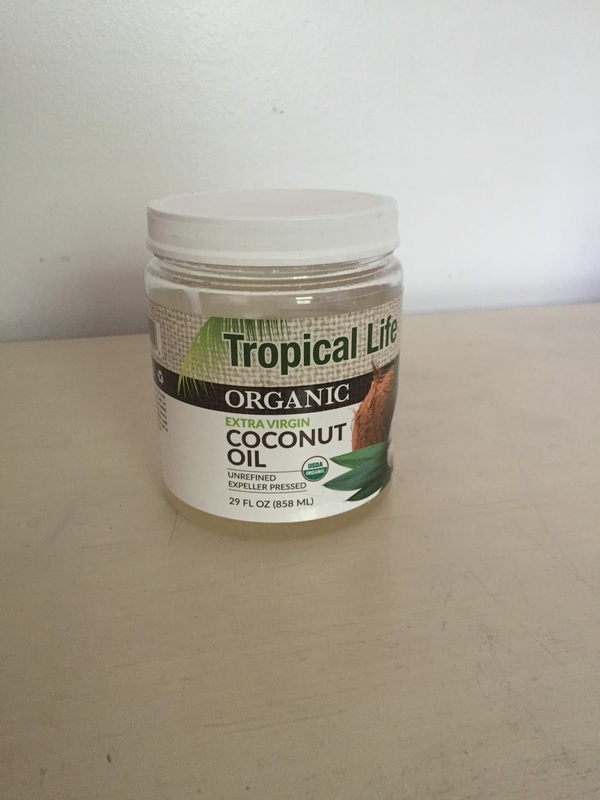 Coconut oil is multipurpose oil that can be used on the body and for cooking! Yum! Olive oil is a personal favorite for me among oils. It’s heavier than coconut oil and perfect for my hair. Fun Fact: Until I started caring for my natural hair I had only seen this oil used in church. hahaha Annnnyyywhhooo I am glad to have found it! I add it to my Shea Butter mixes, deep conditioners, and henna treatments. 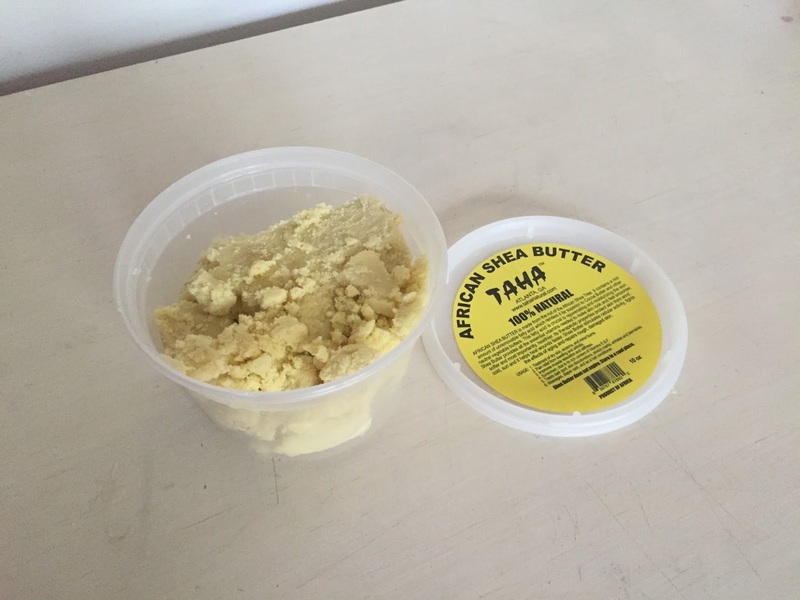 Last but not least I absolutely have to have my African Shea Butter. Just after I had done the big chop I picked up some natural hair products only to find that they left my hair feeling gross and looking frizzy. After looking at other hair care blogs and videos on youtube I saw that Shea Butter could be used for the hair. I picked some up at one of the local beauty supply stores in my area and added the oils mentioned above (and others) to create my Shea Butter mix. I used it as my styling cream for a twist out and never looked back! It is perfect for my hair! Try your best to purchase all natural oils. It should say organic, virgin, and or cold pressed. That way you’re getting an oil as pure as you can. Learn your hair type and purchase products that will show it the most love. Don’t make the mistake I did of purchasing a product just because it worked for your #haircrush . These are not all of the products that I use but they are my staples. If I do not have these products when I am ready to wash and style my hair there is a strong possibility that I will cry. Literally. Do you have any “must have” products? Were you a product junkie like I was? I’d love to know! Are there any specific topics regarding hair that you would like me to touch on? P.S. Learn how I use these products to Refresh My Twistout!! See one of my favorite looks I wore while wearing a twist-out! Coconut oil is next on my list! Thanks for the tips!!! No problem!! I hope it helps!! Let me know how the coconut oil works for you!